Learning to drive can be a nerve-wracking experience when you are first picking it up in your late teenage years. You are plagued with self doubt, you are afraid of embarrassing yourself, but most of all you just want to be able to pass your test at the end of it all and have the freedom to hit the road all by yourself. Imagine, with that in mind, how it must feel to try learning to drive when you are an adult. 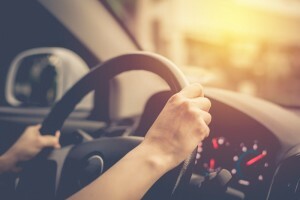 Whether you have finally decided to cross that bridge or you have been forced to by the demands of everyday life (maybe you need to commute to a new job, for instance) the process of taking driving lessons for the first time as an adult can be daunting. But it doesn't have to be. Just because you may be slightly older than the average learner doesn't mean the process will be any different whatsoever. Learning to drive at 18 is the same as learning to drive at 28, and learning to drive at 28 is the same as learning to drive at 38. The best way to feel comfortable behind the wheel for the first time is to work with an instructor who is calm, polite and understanding of what you are going through. Here at Ashley Neil's Driving School we pride ourselves on having instructors who take your anxieties into consideration and provide you with a friendly environment for when you first begin learning to drive. It is understandable to feel self-conscious about taking your first lesson as an adult and knowing nothing about cars. Your friends and family have probably conversed for many years about whether they have a hybrid engine or how much mileage to the gallon they do, but it is not unusual for new learners to have no idea what any of this chatter means. One day you will and – spoiler alert – it's not all that exciting. However, in the meantime, if you do feel like you are a bit of a novice when it comes to how a car works, the benefit of having people around you who already drive is that you can ask them everything you need to know. Failing that, a little basic reading on the internet will get you up to speed. So you are slightly behind when it comes to driving. But just because there are people younger than you with several years of road experience doesn't mean you should rush to catch up to them. Learning to drive isn't just about passing your test; it's about becoming a safe and confident driver. So take your time getting comfortable with everything you need to know behind the wheel, and don't rush into your test until you are totally confident in your own abilities.